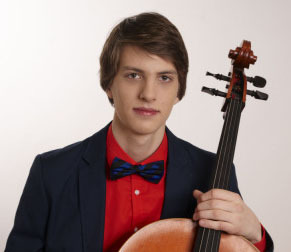 A classical music television competition titled “Classical Stars” (“Klassikatähed”), which aired in spring 2013 to great praise, introduced Estonia’s first officially recognized “classical star” – cellist Marcel Johannes Kits – to the concert halls. In addition to the Grand Prix, he obtained awards from the ENSO and Eesti Kontsert. The musical prize from ENSO will be realised and performed as a gift to audiences on 13 December, when Marcel Johannes Kits will play Edward Elgar’s Cello Concerto. The evening starts with one of Britten’s most popular works, especially recommended for younger music enthusiasts, and during the second half of the concert the “Organ Symphony“ by Camille Saint-Saëns, dedicated to Ferenc Liszt will also be performed. 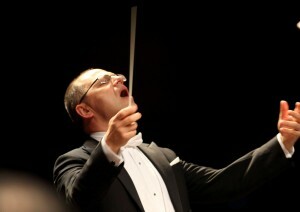 The orchestra will be conducted by Arvo Volmer – former principal conductor of ENSO and the Estonian National Opera for many years and current principal conductor of the Adelaide Symphony Orchestra. Tickets: 20 € / 15 €. Concert is organised by ENSO. In season 2013/2014 ENSO (ERSO) brings to its listeners five concert series: ENSO in Estonia Concert Hall, FESTIVO, MAESTRO, 1001 NIGHTS and GOURMET. MAESTRO series tickets (60 € / 45 €) on sale until 25.10.2013. Series tickets can be purchased through PILETILEVI or at the box office at Estonia Concert Hall.